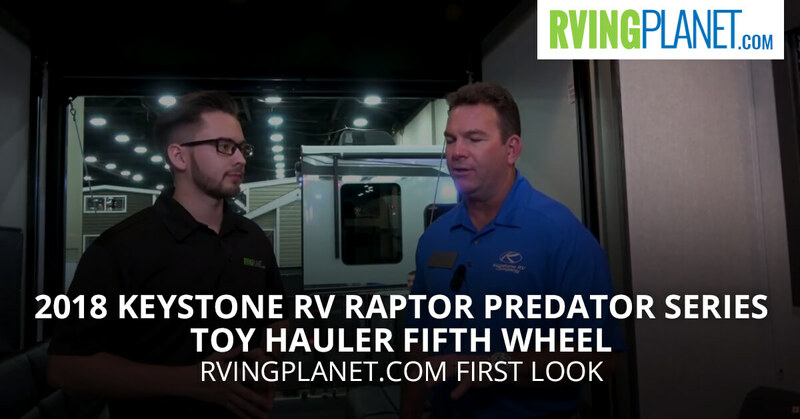 View All Keystone RV Raptor Predator Series Toy Hauler Fifth Wheel Travel Trailer Floorplans! Nate: And we are here to show you the new Predator series Raptor by Keystone. Kevin: I’m Kevin Warren. I’m the factory rep for the Raptor and Carbon toy haulers. I’ve been with Keystone RV on the Rap product for almost 14 years. So I’ve been representing toy haulers for a pretty long time. Nate: What would you say that makes this brand unique? 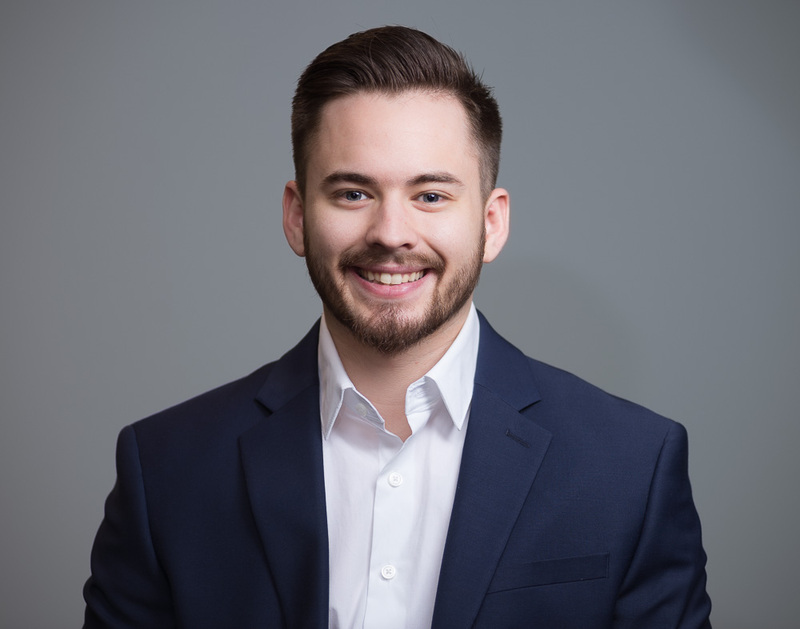 Kevin: Okay, so number one – Raptor has been in business longer than any other toy hauler manufacturer. We now offer three different price points. You’ve got the Raptor which is the luxury line, you’ve got the Carbon which is the mid price point line, and now you have the Predator series which is the lower price point line. The great part about that is you get the construction and quality in the Predator is the same as the Raptor without all of the extra cost involved. So to just have the simple functional things that you need in a toy hauler. Nate: Describe the person that’s going to get the most out of this. Is it going to be like a family, like single people, is this for active adventurers? Kevin: The great thing about toy haulers is it’s versatile for really kind of anything. It’s not necessarily for the person that’s got motorcycles or ATVs or side-by-sides. A family that’s got bicycles and barbecues and just a lot of stuff can get this in your beer selling to a family needing a bunkhouse all the way up to that guy that’s just got a lot of motorized equipment to come in here as well. So lots of versatility. Nate: What sets the Predator series apart from other, just like a couple things that are big differentiators? Kevin: So we’ve captured a lower price point that there’s not a lot of manufacturers in. But predator is pretty lean as far as who’s offering a good functional quality toy hauler with the important features, generator, fuel station, air conditioner in this price range. So we’re getting a lot lower and we’re opening ourselves up to people that maybe have less affordability or just simply want to be a little bit more simple in what they’re purchasing. Nate: Okay, that make sense. So I know you love the Predator series, what are your top three, if you can only pick three, are your top three favorite features of it? Kevin: Generator, freshwater tank, and I would say affordability. Really I mean that’s the big thing with Predator. Nate: If you want to check out the Raptor Predator series by Keystone you can head over to rvingplanet.com. And thank you, Kevin.